This topic should probably be prefaced with “SHOULD” my landscaper or grass cutter install my landscape lighting? Most homeowners assume that just because the word “landscape” appears to refer to both lighting and your contractor, that this is a match made in heaven. Unfortunately, this is rarely ever the case as you will see. One thing a homeowner needs to understand is that most landscape companies started simply as grass cutters. After a while, a homeowner asked them if they could replace a dead tree or shrub while they were there working. After doing this a few times, it occurs the grass cutter that “HEY, maybe there is some money in planting things too”, and so the landscape installation/ maintenance business begins. Soon after, another homeowner knows him and trusts him asks if he could fix their patio that has settled and needs to be redone. Never wanting to say no to an opportunity to make a few bucks, he says sure thing. He muddles through it with some trial and error until he has a result that is barely satisfactory- remember, he is learning on YOUR property, not exactly what you had in mind I’ll bet. So now this contractor begins to think, well, why don’t I add hardscaping to my offerings since I have successfully completed one patio re-lay, and off he goes. 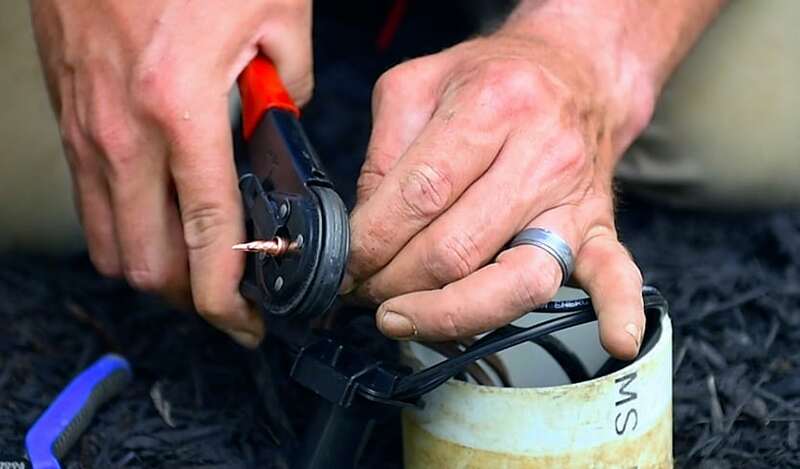 Finally, another homeowner asks him if he can fix their landscape lighting? Once again, not wanting to let another cash making opportunity pass him by, he dutifully heads down to the only source of landscape lighting he knows (the retail box store) and purchases what he HOPES will fill the bill. After replacing the defective light, he feels like a “Super-Scaper” and now proclaims himself as a “lighting expert” to all his customers. After reading the above, you may say that this scenario sounds pretty far-fetched and that any responsible landscaper would know his limitations and never experiment on a customer’s house. Would you be surprised if I told you that the story you just read clearly defines about 90% of the current landscape industry? A homeowner must realize that the barriers to entry of this market are super low, in fact, all you need to get started is a lawn mower, trimmer, and some gasoline. Unfortunately, it is the homeowners who wind up paying the price due to a lack of diligence in ensuring their regular company is up to the task. Do you really want pay someone your hard-earned money to experiment and learn on your project? Of course not! Ok, so we lighting designers aren’t necessarily putting ourselves in the class of cardiothoracic surgeons, but I am trying to make a point here. What you may not realize is that most of us that are dedicated solely to the field of exterior lighting design were at one time landscapers and grass cutters ourselves. The difference between a Lighthouse® lighting designer and a grass cutter is that our team members have undergone extensive and specialized training in the field of landscape and architectural lighting design and system engineering. The other key difference between Lighthouse® team members and landscapers is that this is the only thing we do. We don’t do patios, we don’t plant trees, we don’t water grass, we don’t mow grass- we do outdoor lighting, and we do it very, very well. We are specialists in the field of outdoor lighting design and construction. If you are a homeowner reading this and are still considering who you want to hire to design and install your outdoor lighting; please do your research and make an educated decision about hiring a company that has the capabilities and experience to exceed your expectations. We believe you will find Lighthouse Outdoor Lighting® at the top of your specialist’s list. With tens of thousands of successful lighting installations nationwide, we know how to design lighting the right way. Please take a look around through our project galleries and see if you don’t agree.